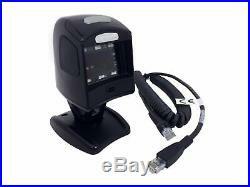 Datalogic 1100i 1D & 2D Barcode Scanner with Stand & Cable (MD112015-011-119). This is a New Datalogic 1100i 1D & 2D Barcode Scanner (Class: MD112015-011-119) that includes the stand and verifone cable. The item "Datalogic 1100i 2D RS232 Scanner VeriFone Ruby 2 CI Commander Topaz XL" is in sale since Saturday, April 6, 2019. 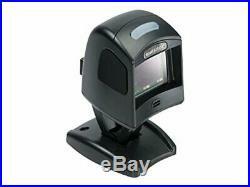 This item is in the category "Business & Industrial\Retail & Services\Point of Sale & Money Handling\Barcode Scanners". The seller is "sklwater2" and is located in Elberton, Georgia.